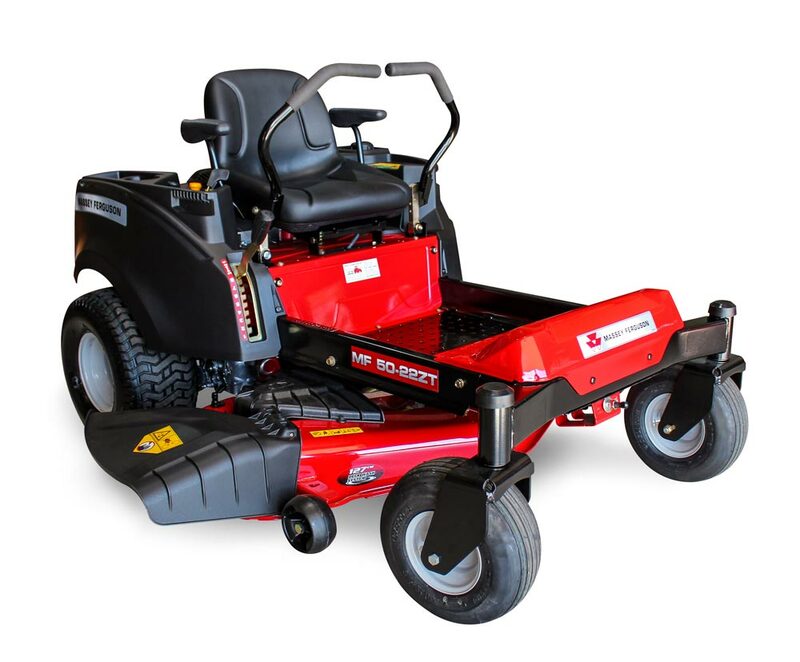 Massey Ferguson’s zero turn mowers allow you to cut around edges, borders and trees. 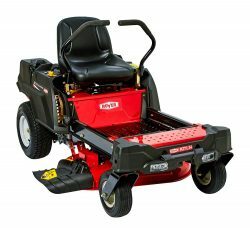 The easy-to-use lap bars allow you to control the mower with ease. 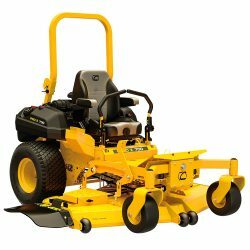 Bursting with features, these zero turn mowers will have you finishing the job faster than ever. Mulch kit included standard, optional catcher available. The powerful Kohler engine on our dual-lever zero turn riders offer quiet, reliable performance. The MF50-22ZT HydroGear™ EZT transmission has no hoses between the pump and motor, giving more power to operate the deck, and a pivoting front axle provides a smoother ride and a professional cut while giving you a comfortable riding experience. The seat is fitted with armrests and is adjustable for greater operator comfort. The lap-bars are also adjustable and the controls are conveniently placed for ease of use. Allows for the easy removal and replacement of the deck in seconds without tools.